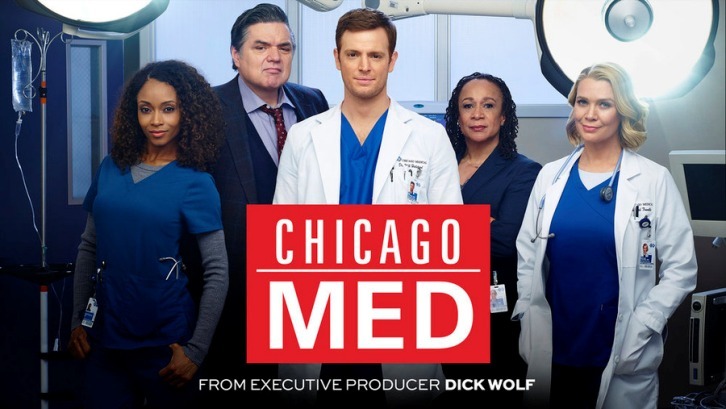 ♥ RETURNING EPISODE Following a knife attack, a member of the team lies in peril and their condition takes a sudden turn for the worse, leaving Dr. Connor Rhodes and Dr. Toni Zanetti scrambling to race against the clock. Word quickly spreads that some of Connor’s fellow doctors feel he should have operated sooner, causing tension at the hospital. Dr. Natalie Manning makes preparations for her pregnancy and Nurse April Sexton’s brother struggles through his first day at the hospital. Meanwhile, members of the Chicago P.D. Intelligence Unit help investigate whether the case of a women clinging to life after Firehouse 51 pulled her out of a burning building is attempted suicide or murder. As the investigation deepens, a surprising parallel to other patients surfaces.